A large international Resort Company was looking to refresh their wired and wireless infrastructure to support the growth and modernization of their resorts. The customer had significant network issues resulting in down time, loss of revenue, and brand credibility. Bird Rock Systems’ engineers rebuilt the wireless network with best in class partner wireless, networking, and security solutions. The Client’s customer satisfaction has dramatically increased and help desk calls have been significantly reduced. A world leader in life science medical manufacturing with 1,500+ employees spread across 30+ countries had obligations to be HIPPA compliant. Customer had fallen behind on updating their firewalls creating concerning security gaps. Customer is benefitting from a more efficient management process of their firewalls by focusing on critical initiatives and projects. AAA 4 Diamond rated Southern California Luxury Resort and Casino known industry wide for its superior gaming experience and customer service needed to maintain their reputation and exceed customer expectations. Casino wanted to replace their wireless network with a solution to provide consistent coverage, performance, security, control and resilience. Our team worked closely with the Casino team to deliver a modern wireless solution from Aruba Networks. The Casino now worries less about their wireless and can focus on making customers happy. A large government municipality had an urgent need to refresh their network and overall design. 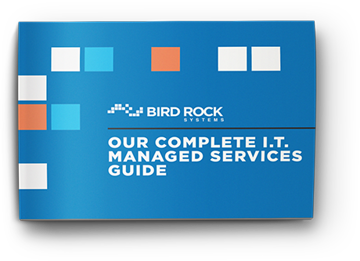 Download our Managed Services guide now to learn more about how we can help your team address issues with time, budget, resources and insight.